Halloween is one of those holidays where you don’t necessarily think about gifts but if you have a Halloween lover in your circle you know they are more than thrilled to get a Halloween themed gift. You may start off thinking of a gift for the kids in your life but let’s face it they are already having all the fun. Costumes and candy are just plain expected. 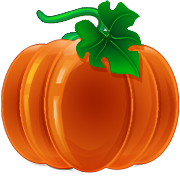 Where some good Halloween gift ideas come to mind are when you are thinking about giving one to the host of a Halloween Party. They obviously love the holiday so much they are willing to go to the considerable effort of decorating their house and throwing a party. If you know them well you may be able to get something decorative to add to their party atmosphere for not just this year but for future parties too. Skeletons are always popular and they have some pretty neat ones on Amazon that you can set up in your yard to spook people as they approach the party. Some other common ideas for Halloween gifts are Halloween themed gift baskets. There are a variety of offerings that include more than just candy. You can get gift baskets with wine or beer that can be used by the host or hostess at the party. You can find great ideas at GourmetGiftBaskets.com and ProFlowers for both candy and flower/decoration offerings for gift baskets. Lastly for those that have pets costumes have become great gifts. Whether you are getting it for your own pet or for a Halloween lover that will get a big kick out of it, the offerings for Halloween pet costumes has exploded over the last few years. More people have pets and feel they are as much a part of their families as their children. Father’s Day seems early this year. Believe it or not Father’s Day is next weekend Sunday June 19th(2011). Many times the focus on these types of days is on the gifts and of course gifts are expected but Dads nowadays can play so many different roles that you may want to focus more on the experience of the day itself. Fathers these days can work outside the home but nowadays you may find many “stay at home” Dads that may need a true break from their every day routines. I suggest you focus on the experience as much as the gifts. So what would make a perfect Father’s Day? As usual of course it depends on the Dad and his interests and life. You do need to make sure you cover the basics though. 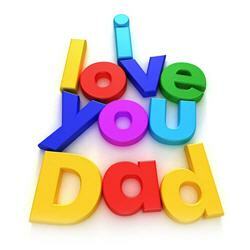 The 3 key areas are Father’s Day Activities, Father’s Day Gifts and Father’s Day Cards. Opening the day with breakfast in bed is always a good starter. Who doesn’t want to be pampered. For the rest of the day knowing the Dad in your life really will dictate what kind of activities he would actually enjoy. Many times a Dad will say it doesn’t matter as long as we spend time as a family but the truth is it is his day and it should focus on activities you know he will enjoy. If the Dad is a sports fan going to a baseball game may be a great idea. Many major league teams have games on Father’s Day so if you can get those tickets that would be a slam dunk. If Father in your life is a biker maybe a long family bike ride along a favorite path should be part of the activities. Don’t be afraid to give Dad the day off. If he’s a golfer he might want to take the time to play 18 holes without guilt. You can always plan dinner and other activities after that. Father’s Day brunches are also an easy and enjoyable choice. Many restaurants have these types of brunches or special dinners for Father’s Day. Check those in your city and town that you know he would like or he has wanted to try. Last year we actually incorporated a car show into the activities for my husband’s father and we all went together. He is a big car fan and he had a great time. For this section I am going to cheat a little because we have an article on our other gift site which focuses on Gift Ideas for Men which really covers a whole host of ideas. They of course include electronics, sports related and hobby related ideas. 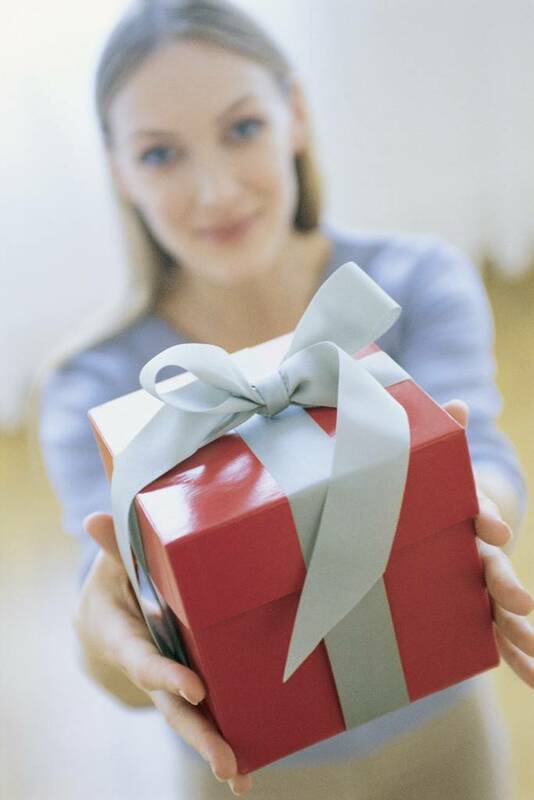 The key as always is to “know” the person you are giving the gift to. Read more detailed thoughts on Gifts for Him. Whether you decide to go homemade or store bought Father’s Day Cards are a way to commemorate his special day. Some dads keep these cards especially if the kids are young enough to make home made ones. I have actually toyed with the idea of a Father’s Day Video Card which basically is a video of special Father related events and the like. Nowadays those things are not that hard to do with slide slow software that takes your pictures and allows you to add music to the background. Valentine’s Day gift ideas can range anywhere from the traditional to the colorful, from the eventful to the very memorable. What started out as a Christian holiday way back commemorating Saint Valentine it is now a celebration that is celebrated in many places around the world. The more standard interpretation of Valentine’s Day is a Day to celebrate love between the intimate companions we live our lives with. Kids also celebrate it though and they would tell you it is more about friendship than love (ugghhh!). These are the usual flowers, candy, jewelry and perfume that are advertised heavily in the malls. Just because something is considered traditional does not mean it is dull and even more importantly it does not mean that it is not expected. Most girlfriends and wives would be delighted to get a nice bouquet of roses as part of their Valentine’s Day experience. Even if all you can afford is a small heart shaped box of chocolates it is also something that most of the time is appreciated. Jewelry and perfume can be more expensive and can be considered much more symbolic. Heart shaped pendants are the staple of an early Valentine’s Day for couples but there are a wide variety of designs that can range in expense. Sterling silver with less jewels will cost less than gold with complex jewel designs. Jewelry like perfume can be a challenge if you don’t know the person’s tastes that well. Sometimes it is advisable to get help from his or her friends or family. Perfumes in particular can be hit or miss. The best bet is to get a perfume or cologne that he or she already uses. Is red the color of Valentine’s Day? Most people would say yes. That is why when it comes to clothes or tech gifts you will find many stores offering products in red. Red colored cameras and laptops can usually be found even when it is not Valentine’s Day. Though some hot gifts like the Apple IPad may not be available yet in red there are a variety of accessories like cases that are available. When it comes to clothes most of the offerings on Valentine’s Day are of the lingerie and male underwear variety. You can find red baby doll lingerie for women and boxers with red hearts just to name a couple of underwear gift ideas for Valentine’s Day. Though red is the traditional color of Valentine’s Day keep in mind that pink runs a close second for the women on your list. Did your husband propose to you on Valentine’s Day? Many men choose this day to pop the question which usually includes a nice diamond engagement ring to match. Choosing an engagement ring should not be taken lightly. Diamond rings can range in quality and price. What might be OK for one women may be noticeably disappointing for another. Definitely get help from family and friends on this. Usually they know what she may expect and what her tastes are better than you. A Valentine’s Day engagement is definitely memorable. On the memorable side you need to consider the experience that you and your loved one will actually have on Valentine’s Day. Typically a nice romantic dinner is the basic and is fine for couple early on in their relationships. For those that have been around the block though this may be a great time to spice things up. You can plan a night or a weekend away (especially if you have children). The actual gifts themselves can also be made more memorable by engraving them. Matching watches are a favorite of mine. If you buy something like a Fossil or Movado metallic watch you can bring it over to a place like Things Remembered where you can get them engraved with your names and the date. Every time you both wear them you will remember that special Valentine’s Day and the love that you both share. Always remember that Valentine’s Day is about love and any gift that is from the heart will be appreciated by those who truly love you. Enjoy Valentine’s Day! Can you use your mind to play a game? Can you use The Force to move a ball? If you haven’t been exposed to the toys I am about to discuss you might think this is science fiction but it isn’t. 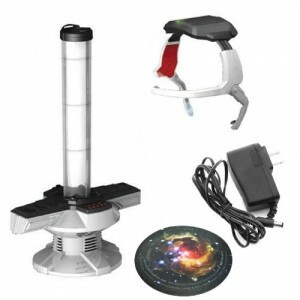 Though the Star Wars Force Trainer and Mattel’s MindFlex game were released in 2009 they are still very popular toy gifts for the Christmas and Holiday season. They seem to be past the novelty stage and are migrating to more mainstream demand. 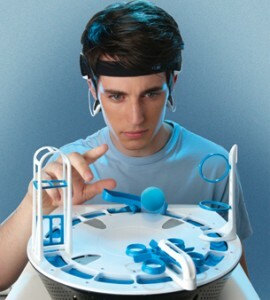 Both toys are based on attempting to harness the power of your brainwaves to move a ball. They use the same licensed technology from a company called NeuroSky. The Force Trainer and the MindFlex Brain Game are similar but they have different slants on how to control the ball. The Force Trainer by Uncle Milton of course brings to it the power of the Star Wars storyline and it’s use of “the Force” to move the ball. It even includes training levels inspired by the Star Wars story like being able to advance from Padawan to Jedi. The coolness factor is increased even more with the voice of Yoda as your trainer. The challenges revolve around moving the ball up and down the chute by increasing and decreasing the speed of a fan based on how hard you concentrate. The MindFlex Game seems more of a general audience type game and differentiates itself by offering the ability to create your own obstacle courses for the ball. It features 5 different games and includes hurdles, hoops, funnels and even a teeter-totter. Both can be good party games because many folks would be curious to see if they really can control anything with their minds. Who doesn’t want to think they are telekinetic? Do you think it is too early for Christmas and Holiday Gift Shopping? This weekend I went to a local mall to pick up a top for my daughter. I was not prepared for the mob that I found. I was surprised to find both front parking lots full so I ended up having to park far away on the third lot. It seems that people are ready to shop and may already know what they want. This is bad news for those who wait especially for high demand gifts like toys for boys. Each year the Toy industry and in particular strong brands like Bakugan and Transformers jockey for position by developing new toys that will be demanded in that Season. Bakugan in particular continues to add to the wide array of action figures and accessories associated with both the Bakugan Game and the Bakugan Battle Brawlers television series that airs here on the Cartoon Network. 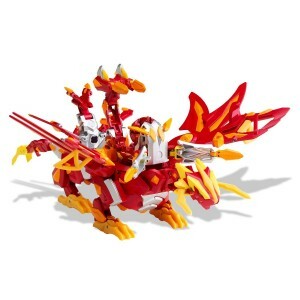 Last year the must have Bakugan Toys were the Maxus line of Bakugan action figures Maxus Helios and Maxus Dragonoid. They were associated with the second season of the show title New Vestroia. They still are in high demand since they are 7 Toys in 1. You can play with them separately and then connect them together to form massive monsters that provide huge advantages in game play. This year Bakugan has added somewhat of a auto transforming feature to their New Bakugan Toy line of Colossus action figures. The new Dharak Colossus and Dragonoid Colossus again feature separate pieces that can be played with separately. This time they are 6 in 1 and feature a transformation hub. When the accompanying battle gear pieces are connected to the hub the Bakugan for each set(Battalix Dragonoid and Brawlacus Dharak) are dropped into the figure and then it explodes into the bigger monster form. These Bakugan toys are part of the current 3rd season of Bakugan Battlebrawlers entitled Gundalian Invaders. These toys are good examples of those that are snapped up pretty quickly in the Holiday and Christmas shopping season. My son has the Colossus Toys on his list so I plan to snap one up soon. Keep in mind these toys make good gifts for boy over 5. The way they play with these toys also evolves as they learn to play the actual Bakugan Game which can be complex.